Unbelievable hotel prices in Singapore/Malaysia/Batam for last-minute booking! No need to worry about not getting any hotels nearby. Definitely an app for you if you're an avid staycationer & bloggers. Download HotelQuickly on playstore & redeem your first SGD$30 discount on your first hotel booking when you input code SNURH3 on the 'redeem voucher' tab. Share it on facebook & twitter to get another $2 credits. Share it with your contacts & you get $12 credits. It will be a total of $44 discount on your first booking! Alert: long weekend coming up! We're celebrating Hari Raya Haji with a special promotion: redeem promo code 'RAYA16' on the HotelQuickly app and enjoy an extra 9.09% off any hotel booking until this Sunday. Get people to redeem your code & get $1, receive $25 each time they book a hotel! 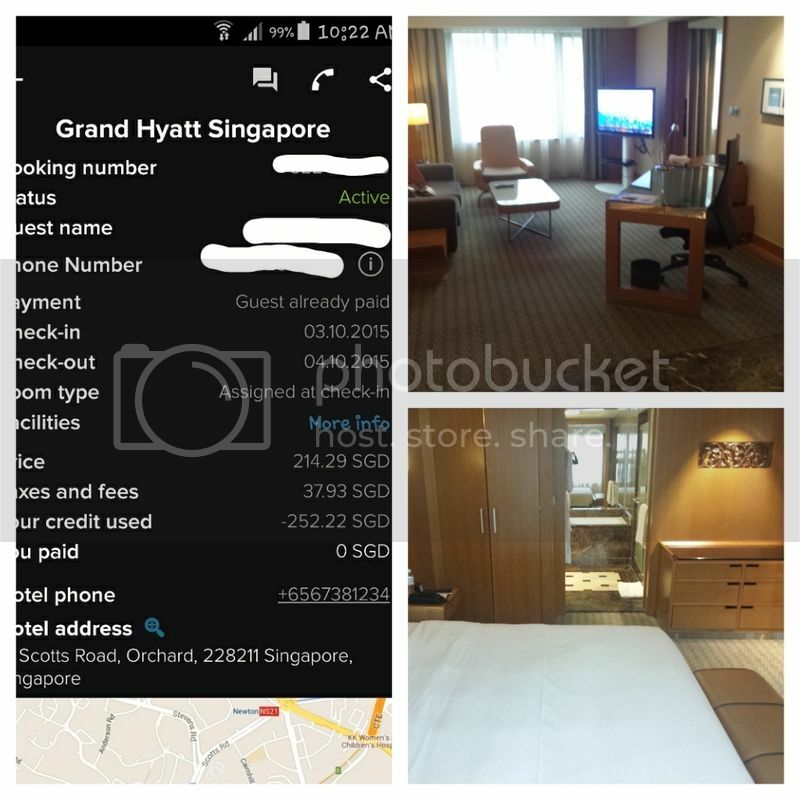 I've booked a room at Grand Hyatt Hotel Singapore recently for only $260 compared to normal rates going at $500+! The best thing is i only used my credits & did not pay a single cent! This is totally not a gimmick or a spam. Review photos attached for proof. Definitely an app for you if you love staycations & simply need a last-mintue hotel. Last edited by Insanityloves; Sep 9th, 16 at 10:51 PM.